2-channel wireless headset and lavalier system at an unbelievable price. 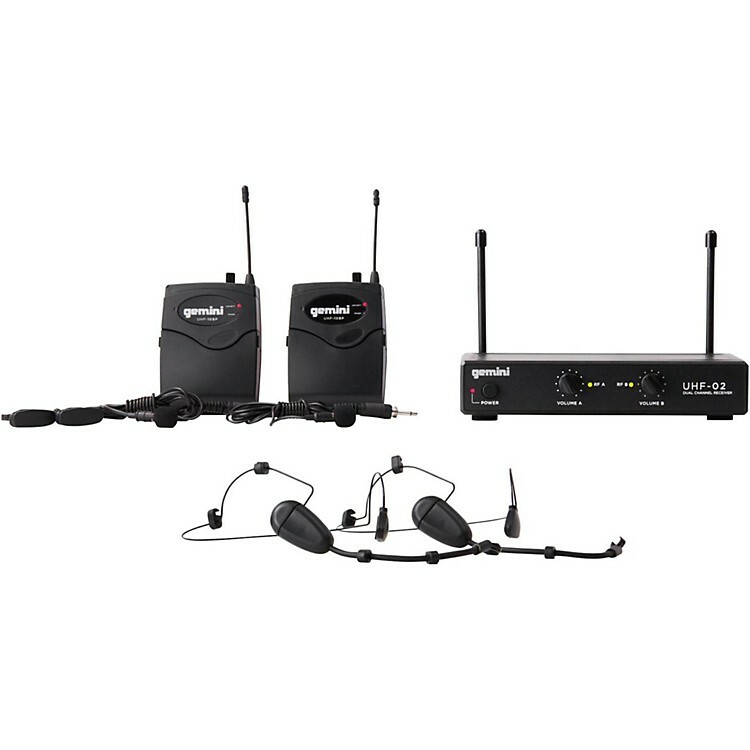 The Gemini UHF-02HL is a dual-channel wireless system with a combination headset and lavalier transmitter that's perfect for presenters and active entertainers who need hands-free performance. The UHF-02HL offers high-quality voice reproduction with incredible clarity and reliability, at a surprisingly low price point. The lower range of the bandwidth starts at 500MHz and the upper bandwidth stretches up to 950MHz, offering you multiple frequencies to choose from. Channel-independent volume controls makes level adjustments easy, and you can easily connect external devise via the 1/4 in. output jack. The rugged UHF receiver has a 150-foot dynamic operating range, making it ideal for bars, clubs, auditoriums and places of worship. Solid performance at a rock bottom price. Order the UHF-01HL today!